ACE YOUR SOL is Virginia’s #1 elementary school assembly program that’s all about getting your students prepared and energized for their SOL tests! This live production is perfect for all elementary grades taking the SOL and it covers very specific SOL test-taking strategies. It has been co-developed with educators who know this test thoroughly to get your students to maximize their potential. 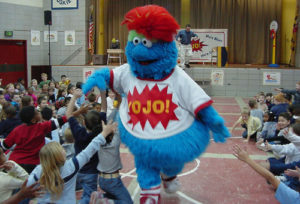 Our favorite fuzzy friend, YoJo, is initially very nervous and reluctant about taking his upcoming SOL test. 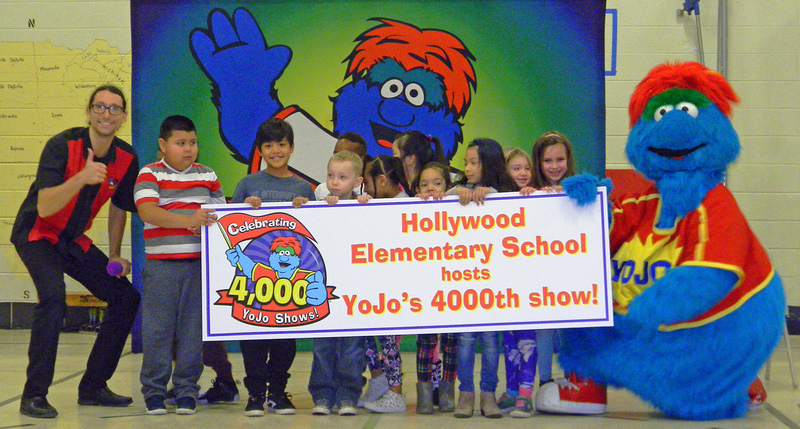 But with help from your students, YoJo agrees to participate in a series of SOL game show challenges. These challenges demonstrate the SOL test experience with fun subject topics such as sports, music, pizza, etc. In the end, YoJo and your students learn the skills and gain the confidence to completely ace the SOL! The SOL’s computerized technology is continuously demonstrated. Multiple choice questions and technology enhanced items like fill-in-the blank, drag & drop, hot spot, and graphing are shown throughout the assembly. YoJo even uses computerized tools such as the eliminator, highlighter, ruler, and calculator options to help solve tough questions. Let’s face it – prepping for standardized tests isn’t very enjoyable for either students or staff, but YoJo’s “hilariously educational” comedy does a great job of tackling this in a fun and upbeat style. 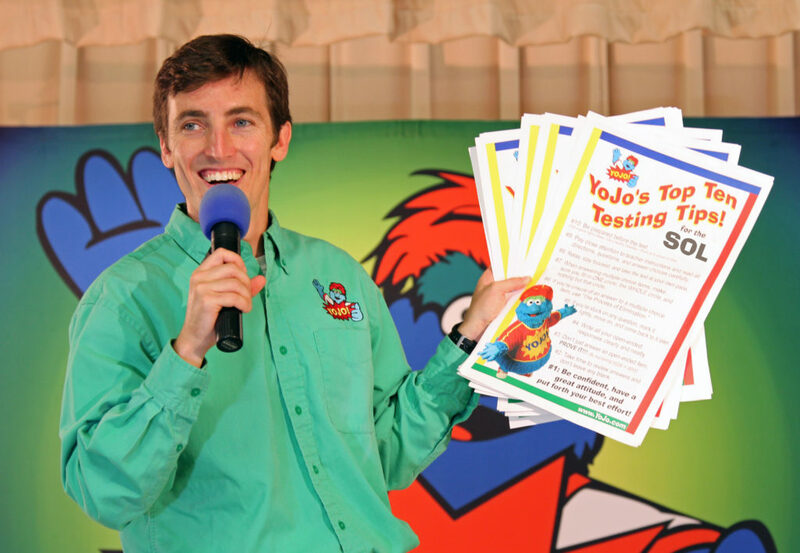 Your school will also receive a special CD, and color posters that review YoJo’s Top Ten SOL test taking tips.